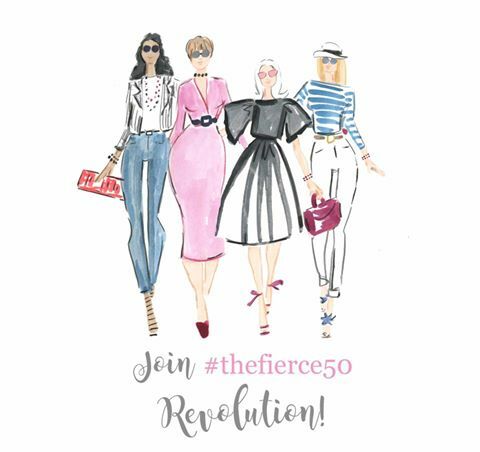 Is anybody else in a blogging slump? Not sure what it is, but I cannot seem to get my act together. Some days I think I should probably give it up - but then I miss you all too much, so here I am. 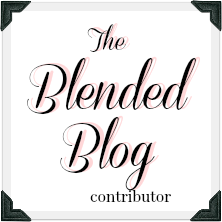 Thank goodness for my friends at The Blended Blog who keep me motivated. 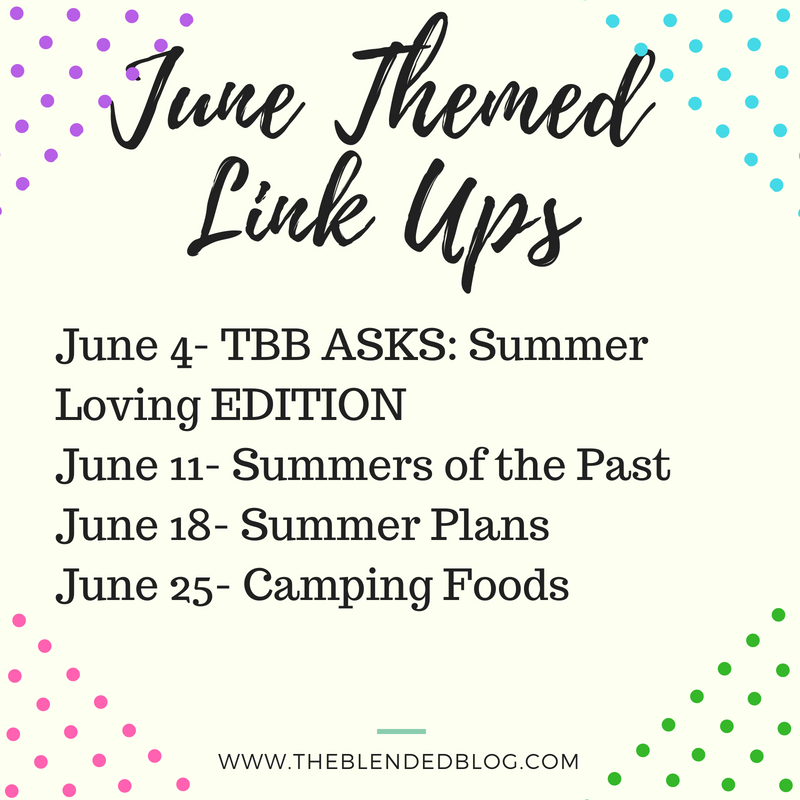 It's time for another TBB Asks, and I hope you're planning to link up with us! 1/ While I love to ride bikes, I'm a disaster on anything with wheels (don't even ask about mopeds - yikes). A nice walk is probably safer for me. 2/ Hot dogs. I don't eat them the rest of the year, but give me a grilled hot dog at a picnic or BBQ. Yum! 3/ Pool. Lakes are scary because I can't see the bottom. 4/ Please don't stop reading - but I'm not a huge fan of ice cream. I guess chocolate chip mint is my favorite though. 5/ Definitely a cone - that's the best part! 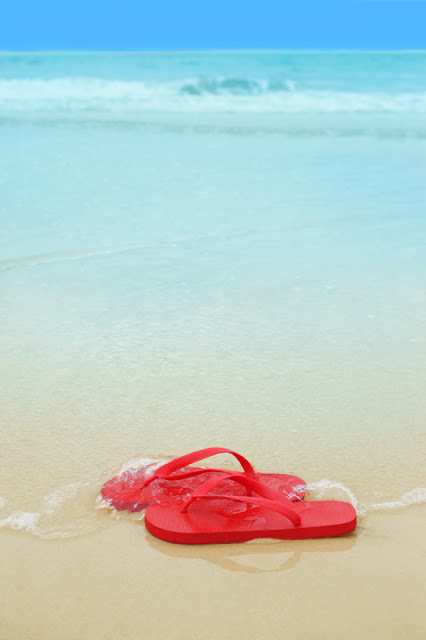 6/ Flip Flops. How do you keep slides on your feet? 8/ Watermelon. Have you tried yellow watermelon? So good! 9/ On the cob, with my hot dog. 10/ "Summertime" by DJ Jazzy Jeff & The Fresh Prince. Takes me back to those relaxing summer days before kids and responsibilities. 11/ Anything outside. After months and months of cold and rain, I can't wait to be out of the house. 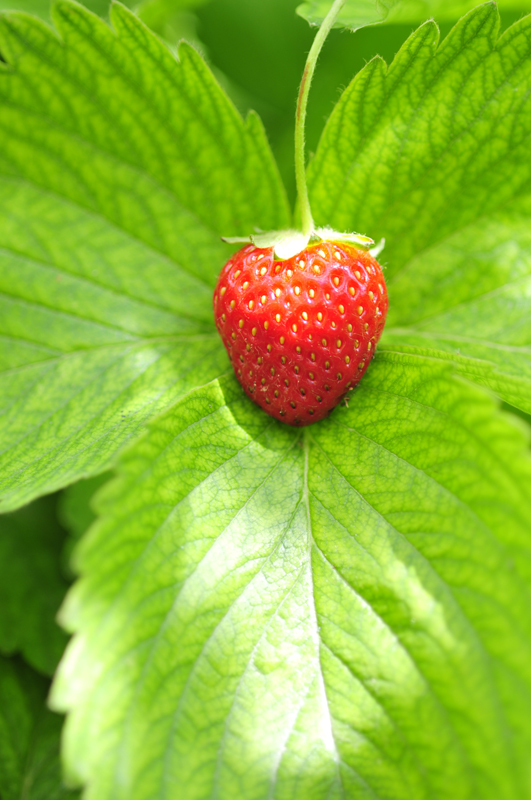 12/ Strawberries. And strawberry shortcake, with my hot dog and corn on the cob! 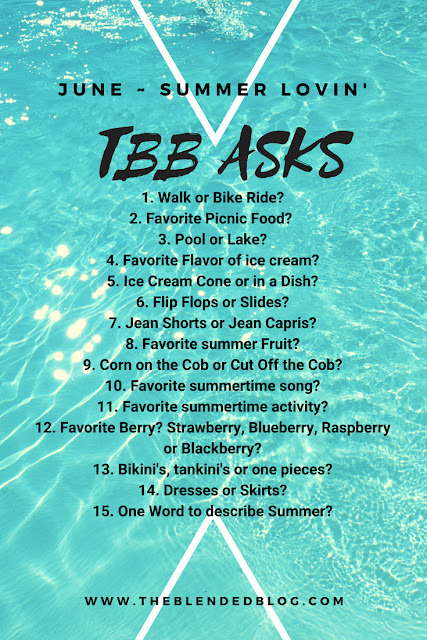 13/ Tankini. One pieces are never long enough, and my days in a bikini are long gone. I like to shop at Bare Necessities because their tops come in bra sizes. 14/ I can't pick! I love to wear dresses and skirts as soon as the weather warms up enough for sandals. 15/ Warm. It's the only time of the year where I'm not freezing all the time. 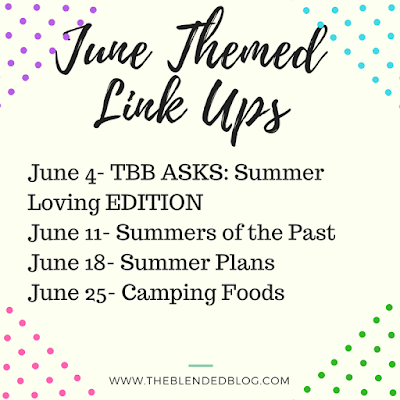 Be sure to link up below, and come back next week to share your summers of the past. I've never even seen yellow watermelon. Is it only out where you live??? But I'm sure I'd love it because watermelon is one of my faves---along with peaches!! I don't know if it's only here? But it's definitely a new hybrid. It's so yummy! Yes, I had yellow watermelon for the first time last year, so good. Loved reading your answers sweet friend! Isn't it good? So yummy! Do. Not. Give. Up. Blogging! I would be so disappointed if you did! You are so sweet. I'd definitely miss all my blogging friends! Tankinis are a perfect creation. I've always thought so! And I usually eat hot dogs only once or twice a year, but LOVE them. Ok, edited to add that I USED to have one or two a year. Now it's one or two a week...this time of year. I only like them grilled. I agree - tankinis are the best! 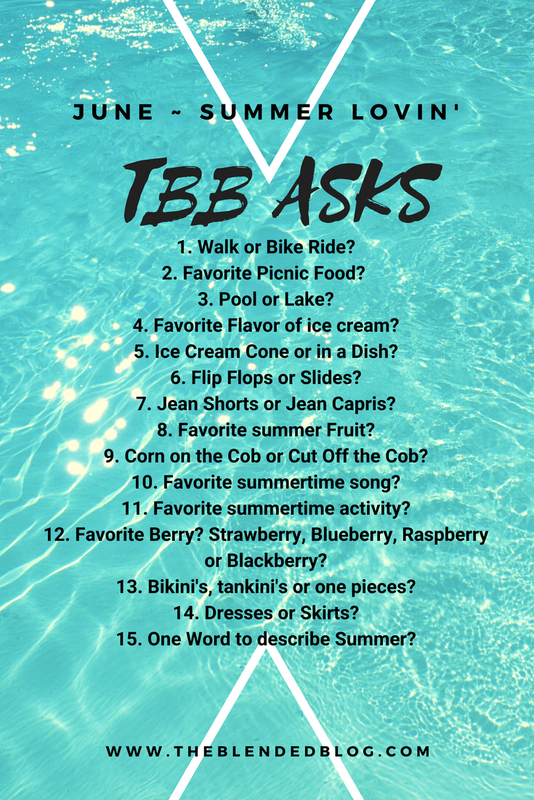 I love Bare Necessities for swim suits too - I always need a bra sized top and love a good tankini. I don't go crazy for ice cream either but I do love homemade strawberry shortcake with a scoop of creamy vanilla! Yum! Strawberry shortcake is SOO good! We're basically twins separated by a decade! Yum! I love grilled hot dogs too. I don't eat them any other way either but they are delicious off the grill. There's something about a grilled hot dog that just screams summer! Hope you're having a great week! Growing up on the East coast we would have clam bakes with lobster, clams, and corn all in the same pot. Since I am never East in the summer because it is too wonderful here in the NW, I will have the same hot dog dinner but add the ice cream! Sometimes I think I'm a weirdo because I love hot dogs! Haha. But especially on the grill (or at a baseball game).